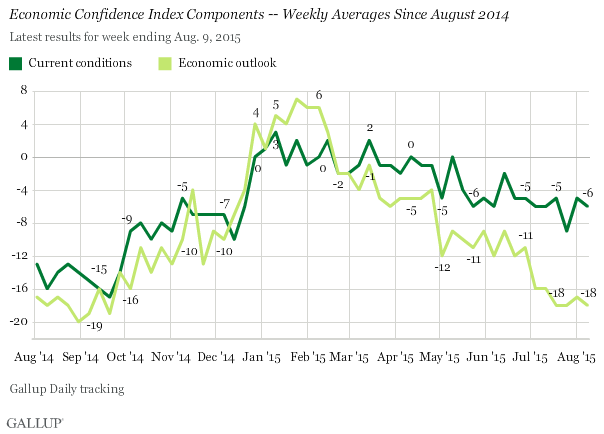 WASHINGTON, D.C. -- In the U.S., Gallup's Economic Confidence Index averaged -12 for the week ending Aug. 9. This is consistent with the weekly averages since early July, but the score remains much lower than the positive numbers at the beginning of the year. The Economic Confidence Index entered positive territory in late December, for the first time since daily tracking began in 2008. It dropped below zero in mid-February, and has not been in positive territory since mid-March. The index's rise and subsequent decline have been linked to falling, and then rising, gas prices. The index has averaged -11 or lower since the week ending July 5, 2015. Lower scores in July were largely attributed to economic events abroad -- including the Greek debt crisis -- and the impact they had on domestic stock prices. 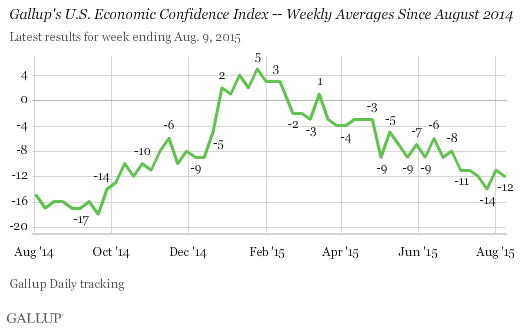 Gallup's Economic Confidence Index is the average of two components: how Americans rate the current economy and whether they feel the economy is "getting better" or "getting worse." The index's theoretical maximum is +100, if all Americans rated the economy as positive and improving, while the theoretical minimum is -100, if all Americans rated the economy as negative and getting worse. Both components were level for the week ending Aug. 9. The current conditions component averaged -6, the result of 24% of Americans rating the economy as "excellent" or "good," while 30% rated it "poor." The economic outlook component averaged -18, as 39% of Americans said the economy is getting better while 57% said it is getting worse. Since early March, the current conditions component of the index has been more positive than the outlook component. Current conditions averages have been roughly consistent since May, while a worsening of Americans' economic outlook is responsible for the decline in the overall index. 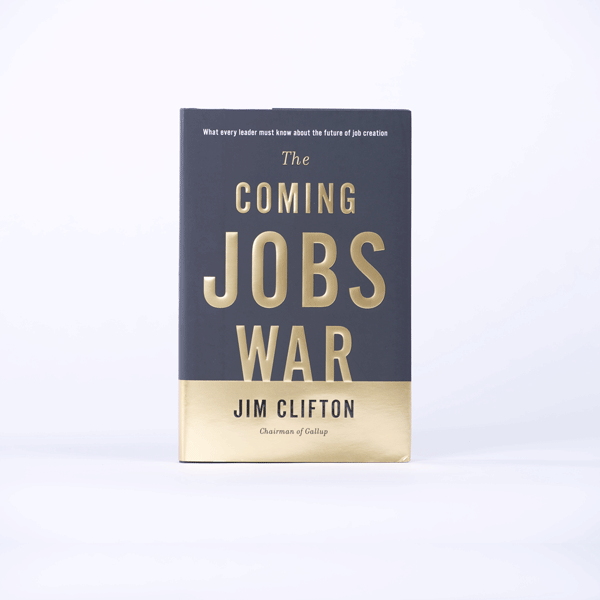 Results for this Gallup poll are based on telephone interviews conducted Aug. 3-9, 2015, on the Gallup U.S. Daily survey, with a random sample of 3,554 adults, aged 18 and older, living in all 50 U.S. states and the District of Columbia. For results based on the total sample of national adults, the margin of sampling error is ±2 percentage points at the 95% confidence level. All reported margins of sampling error include computed design effects for weighting.